Join us for the Frank Rhodes Lecture Series on the Creation of the Future with Cathy N. Davidson. The distinguished historian of technology and innovation in the field of equity and innovation in higher education asks how we can revolutionize the university to better prepare students for our age of constant change and more. Register to attend — seating is limited! Parking will be validated. Light refreshments will be served. How can we retool our classrooms as activist, engaged learning environments that model a more just society? 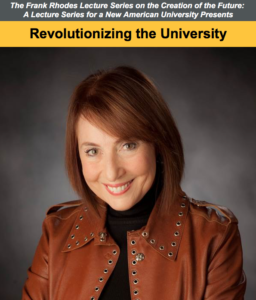 In this talk, Davidson will discuss her book The New Education: How to Revolutionize the University to Prepare Students for a World in Flux and show how we can revolutionize our universities to help students be leaders of change, not simply subject to it. Davidson is Distinguished Professor of English and Founding Director of the Futures Initiative at the Graduate Center, CUNY, and the R. F. DeVarney Professor Emerita of Interdisciplinary Studies at Duke University where she served as Duke’s (and the nation’s) first Vice Provost for Interdisciplinary Studies. She has published some twenty books including Revolution and the Word: The Rise of the Novel in America; Closing: The Life and Death of an American Factory, with documentary photographer Bill Bamberger; The Future of Thinking: Learning Institutions in a Digital Age, with David Theo Goldberg; and Now You See It: How the Brain Science of Attention Will Transform the Way We Live, Work, and Learn. 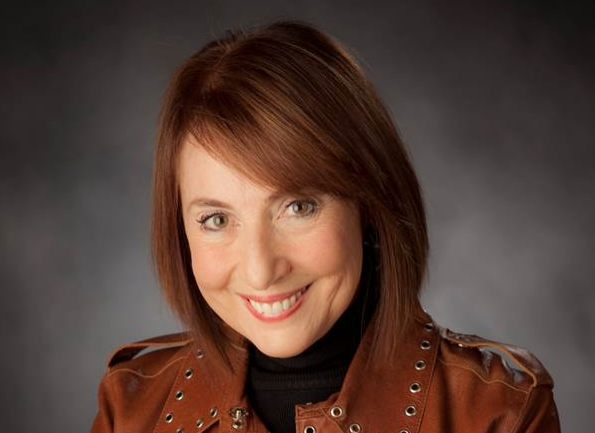 Her most recent book is The New Education: How We Can Revolutionize Higher Education to Prepare Students for a World in Flux. In 2002, Davidson cofounded HASTAC (“Haystack”), Humanities, Arts, Science and Technology Alliance and Collaboratory, the world’s first and oldest academic social network. She directed the 16,000+ member HASTAC network until 2017 and now co-directs with Professor Jacqueline Wernimont of Arizona State University. She is on the Board of Directors of Mozilla and served on the National Council of the Humanities as an appointee of President Barack Obama (2011-2017). She is the 2016 recipient of the Ernest J. Boyer Award for Significant Contributions to Higher Education. The Frank Rhodes Lecture on the Creation of the Future: A Lecture Series for a New American University began in Fall 2011 at the direction of ASU President Crow to help advance his vision for a New American University and the need to redefine the role of higher education in society. Each semester, an individual committed to institutional innovation visits ASU to deliver a public lecture on the creation of the future as well as meet with members of the ASU and greater community. For more information visit rhodes.asu.edu or contact the Office of University Initiatives at ui@asu.edu.